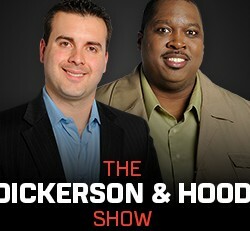 Jeff Dickerson joined ESPN in 2001 and has served as the Chicago Bears beat reporter/writer for ESPNChicago since 2004. Dickerson is also the host of Chicago’s NFL Gameday, Miller Lite’s Football Night in Chicago and Chicago’s Gamenight on ESPN 1000, in addition to being the primary fill-in host for Waddle and Silvy and Carmen & Jurko. Dickerson has covered eight Super Bowls, four Final Fours and anchored ESPNChicago’s NFL Draft coverage since 2005. He also handles Bears’ coverage for WLS-ABC 7 television and is the television analyst for Loyola Ramblers men’s college basketball games. Jonathan Hood is a host on ESPN 1000 and contributes to ESPNChicago.com and has been a radio broadcaster for 20 years. Hood is a two-time Chicagoland Achievement in Radio Award winner. Hood’s shows specialize in fans feedback after games. He was host and creator of College Football Saturday with Steve Silverman for five years. Hood was also host of non-flagship post game shows for Cubs, Sox, Bulls, Blackhawks, Illinois and Notre Dame football and basketball and “High School Holla” a 90 minute show for high school football and basketball games. Hood has been a host for ESPN 1000 AM and contributing to ESPNChicago.com since 2005 and teams with Bruce Levine each Saturday on Talkin’ Baseball.